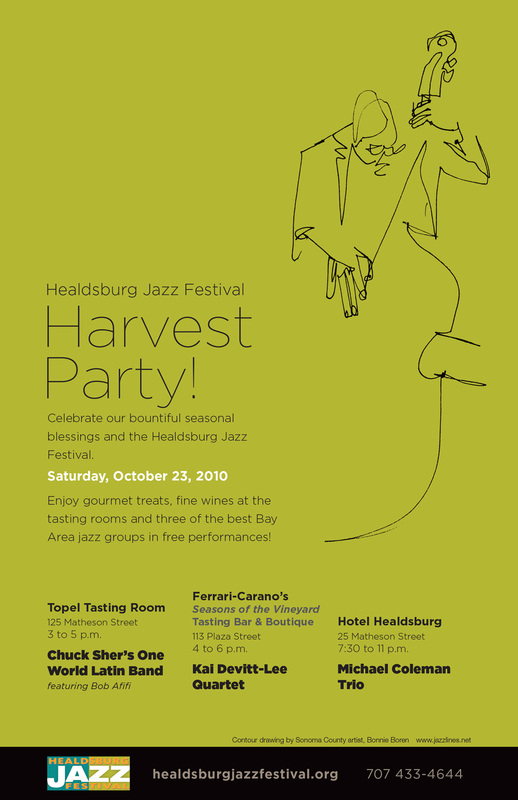 A blind contour drawing created by the talented artist and jazz aficionado, Bonnie Boren, lends sophistication to this poster for the Healdsburg Jazz Festival. Boren often drew at the Blue Note during her years in New York. This style of drawing is created in a single continuous motion while listening to live jazz, without looking at the drawing. Its improvisational quality matches the way jazz is performed.